Technically, a landing page is any page in a website on which a visitor first lands. So any page could be a landing page (a good thing to keep in mind when designing your website). But within the marketing industry, we are referring to a page that sits apart from your main website and is devoted to presenting information about a single product, service or topic (sample client landing pages). 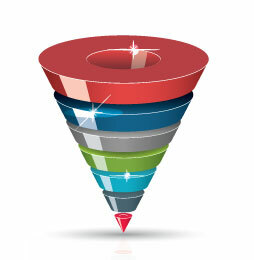 The sole purpose of the page is to move the prospect to the next step in the marketing funnel. Through artful copy and page design, the intent is to supply information taylored to the visitor’s current level of interest and familiarity with the product such that they feel compelled enough (and comfortable enough) to respond to the call to action — hit the download button, submit the signup form, etc. Landing pages move the prospect to the next level in the marketing funnel. Why landing pages rather than your website for lead generation. Generally, landing pages are designed to be part of a larger campaign which captures the visitor’s initial interest and directs them to the page. So the prospect’s focus is narrow. 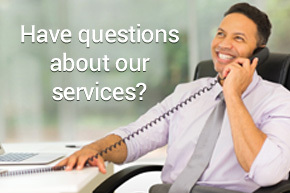 They are looking for information specifically about the product or how to get it. You don’t want them going to a general website page which introduces navigation bars, sidebars, and other elements that are distracting to the discussion. Landing pages need to be focused only on the product, closely aligned with the interest level of the visitor, appealing in layout and overall design and, above all, simple and easy to use with a clear and obvious call to action. Studies have shown (Google study) that our minds don’t want to have to work to figure out where to go or what to do on a page, so simplicity and focus are crucial for maximizing clicks on your CTA. An effective landing page will likely play a key role in any campaign and will be part of our conversion optimization process. Because landing pages are simple by design, there are less elements to deal with making them easier to fine tune. We can perform A/B and/or multivariate testing to optimize the various elements — images, title, copy, form placement, form fields, call to action, etc. — to determine which variations work best for capturing leads.